J.P. Hogan Concrete Coring Sawing is one of the leading concrete cutting specialty companies in the New York City area. As one of the fastest growing Grinding and Grooving Companies NY we are able to provide any of our specialty services locally and across the United States. Our fleet includes more than 200 pieces of specialty construction equipment, in dozens of categories, from small hand-held core drills, diesel-hydraulic crawler wire saws, to a Tier 4 Diamond Grinder and Groovers for all your specialty grinding grooving jobs. When you’re looking for the most efficient and competent production on a fast-paced job site, count on J.P. Hogan to deliver the optimum number of machines, with a skilled operator in every seat. J.P. Hogan has the all the equipment you need to perform core drilling underwater, vertical, horizontal, angled, compound angle and even upside down. The drilling equipment we utilize can be powered by electric, hydraulic, pneumatic and high cycle motors. We have the capacity to drill holes ranging in diameter from fractions of an inch up to 80” inches in diameter. And due to the development of continuous tubing core bits holes can be drilled up to depths of 60’ feet or longer. Wire sawing with diamond impregnated segments was developed in the mining industry to allow cutting of large surface areas of stone. Over the last 25 years, it has become the go-to choice when segmenting large pieces of reinforced concrete structures. 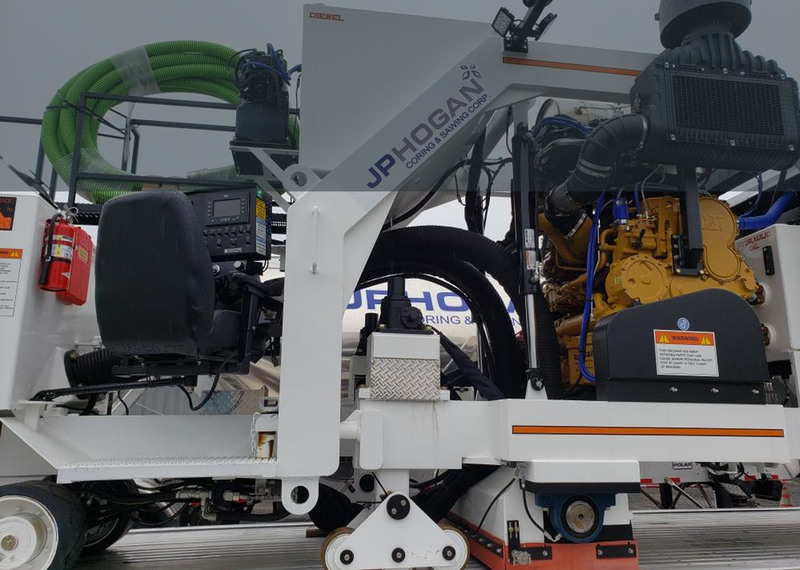 J.P. Hogan has a veriety of high cycle electric, and hydraulic saws along with several diesel powered hydraulic, self-contained track driven saws. These saw cuts can be completed underwater on any shaped concrete or steel structure. Cutting openings in concrete and masonry walls used to be a real challenge but with the advent of today’s modern wall and the specialty saws including, chain and ring saws, perfect penetrations with no over cutting can now be obtained. J.P. Hogan has perfected the art of wall sawing can so that it can be performed up to 30” in thickness and at various angles. These types of saws are also powered by hydraulic, electric and pneumatic motors. J.P. Hogan has a long reputation for delivering precision cutting, coring and sawing work on time and within budget. 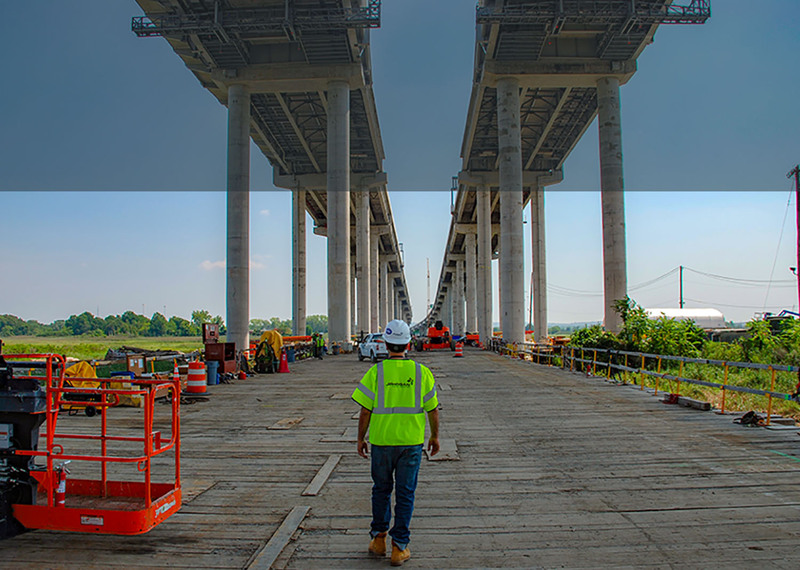 Our experience and proven track record have allowed us to successfully bid for notable projects including the World Trade Center, the Kemsco Rehabilitation Project, Brooklyn Battery Tunnel, The Holland Tunnel and a plethora of other government-funded projects. We have retained our prominence in the industry while developing long-standing relationships with some of the largest Construction Management Firms and General Contractors in the business, allowing us to showcase our talents in all the projects we complete.